Mountain Travel and Avalanche Course - S.E.I. 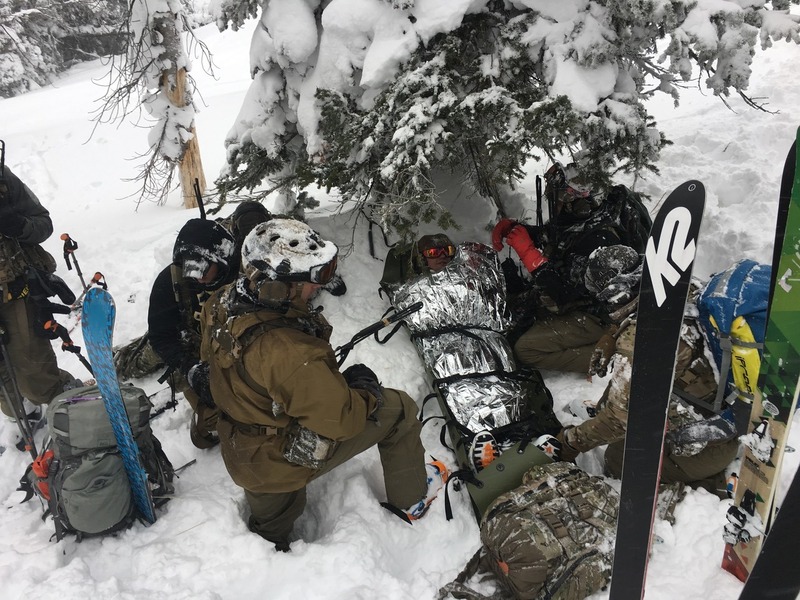 Students can expect to develop a good grounding in how to prepare for and carry out a trip, to understand basic decision making while in the field, and to learn rescue techniques required to find and dig up a buried person (if an avalanche occurs and someone in the party is caught).A final debrief includes a knowledge quiz to test student comprehension and to give feedback to instructors on instructional tools. This eight-day course will cover a variety of topics related to winter travel in mountainous terrain. We will cover snowpack formation, avalanche mechanics, snowpack analysis, terrain evaluation, and avalanche hazard forecasting. We will also cover traveling in a snow-covered mountainous environment on skis &/or snowshoes, as well as winter travel techniques. The first two days of the course will cover movement on snow and ski techniques. Day one will take place at one of the local ski areas, using the lifts and taking ski lessons for the day. Day 2 of ski training will take place in the backcountry, refining ski techniques, as well as learning skinning techniques, transitioning from skins to downhill ski mode, and movement on touring skis. We will also introduce transceiver use and function on this backcountry day. This will include small team rescue drills. The following six days of the course will cover winter weather forecasting, snow and avalanche formation, and terrain evaluation. This will cover the level 1 and level 2 curriculums and is designed for your group. The goal of this course will be to enable participants to make accurate assessments of weather, snowpack, and terrain information to create a daily avalanche hazard forecast for a given location, or route, in the mountains. Both basic and advanced avalanche course material will be utilized in this course with some time spent in the field learning how to evaluate the snowpack and conduct stability tests. Various scenarios and daily forecasting exercises will be conducted throughout the course to test and improve each participant’s skills. Custom dates are also available, please fill out our contact form or call the office at 910-286-5170 or 603-733-8416 for more information. Alpine touring or Telemark skis or Splitboard with skins, or Snowboard and snowshoes, or just snowshoes. We will supply you with beacon, probe and shovel, but if you have your own, please let us know. You will also be receiving from us an AIARE Field Book and the AIARE Level 1 Student Manual.